Come and celebrate 25 years of Textile Center excellence during a special summer of workshops to guide, inspire, and grow your creative practice! 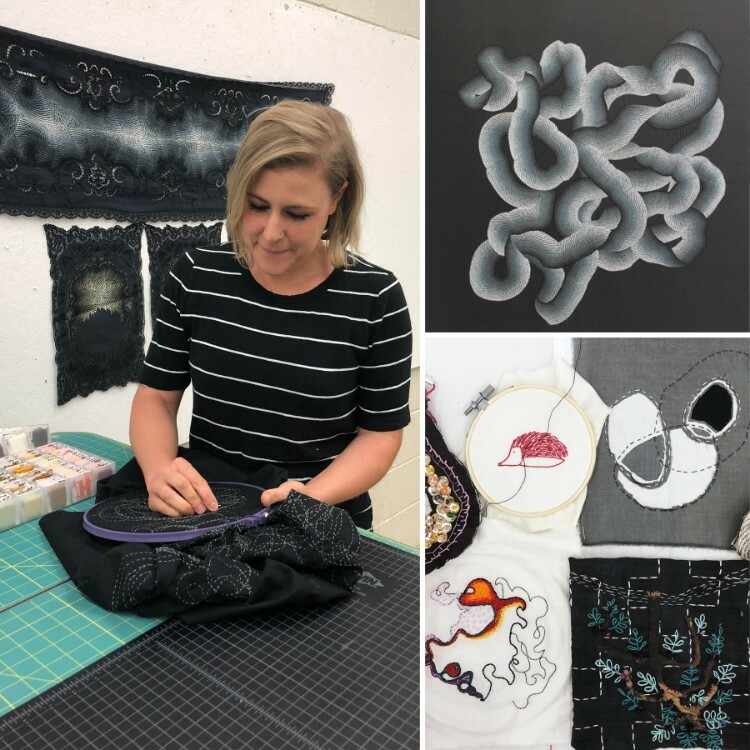 Step up your textile game in 2019 with our national and international Guest Teaching Artists—right here in Minnesota! These artist educators are highly regarded in the field of textiles and fiber for their artistic achievements and excellence as educators. Textile Center welcomes all creatives and wannabees to try something new or push the boundaries of what you already know by participating in an immersive experience with an expert in the field. Click on any workshop title below for information and registration for that workshop. New additions to this incredible roster will be posted frequently, and first announced through our weekly Textile Tuesday E-newsletter. Email tkrumm@textilecentermn.org or call 612-436-0464 with questions. Millinery artist and expert Karen Morris is back this summer for 2 more workshops in what has become an impressive series of millinery experiences at Textile Center! In SINAMAY WONDERS, an intensive 2-day workshop, discover the wonders of sinamay fabric while you learn to transform this plain straw hat fabric into a spectacular material with sparkle and texture. In addition, using silk fabrics, along with sinamay and origami skills, learn more millinery tips and tricks to complete a second headpiece during the weekend. In MILLINERY FEATHER FLOWERS, join Morris for a full day of learning how to create custom feather flowers specific to the needs of designer hats. Learn how to treat, paint, cut, and trim feathers, along with assembling poms and flowers in various ways to attach to the hat base. Purchase both classes together & save! $370 through May 10. Click one of the classes to learn how! Join Rena Wood, winner of the Joanne Purrington Folley Memorial Award for Excellence in Needlework at Fiber Art International in 2016, for a week of stitching excellence! For students who have never touched a needle and thread or for more experienced embroiderers and stitchers looking for to expand their work, this workshop offers the time and space to get started and get down to it! Using hand-stitched lines as a way of drawing on fabric, explore how the process of stitching and the materials chosen give meaning to your work. Warm up with sketchbook and collage exercises, learn stitch techniques, experiment with new materials, and dive into different styles of hand embroidery as you develop a new vocabulary for your work. Join us for a 5-day intensive class on textile techniques for sculpture, and working with found objects! Mon – Fri, June 24 – 28, 9:30 am-4:30 pm. Click HERE to register. Welcome Guest Teaching Artist Abdul Jabbar Khatri from Kutch, Guajarat, India for a special BANDHANI workshop! The Bandhani of Kutch tradition is an ancient textile art known around the world for its unique texture, patterns, and finesse of dots. Bandhani are made by tying sections of fabric tightly with thread to create hundreds of tiny dots when dyed. Using this thread resist with natural dyes from India on your own silk shawl, experience this process in a 2-day workshop with a master artisan! 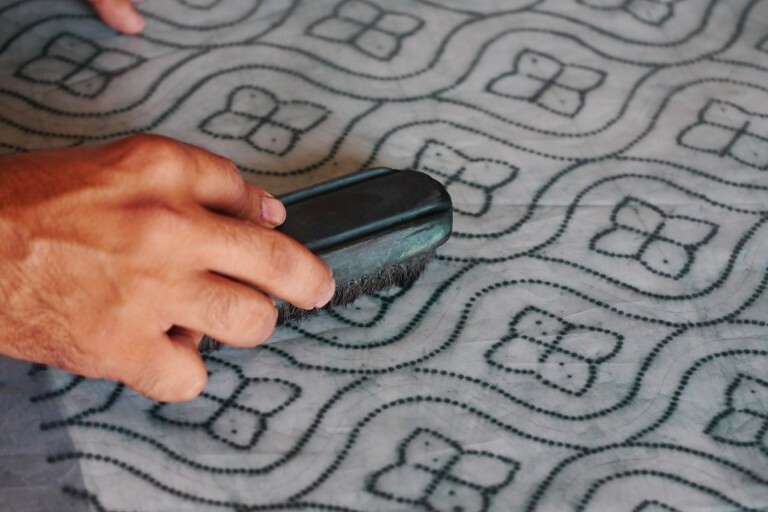 Join us for a special AJRAKH block printing workshop at Textile Center! 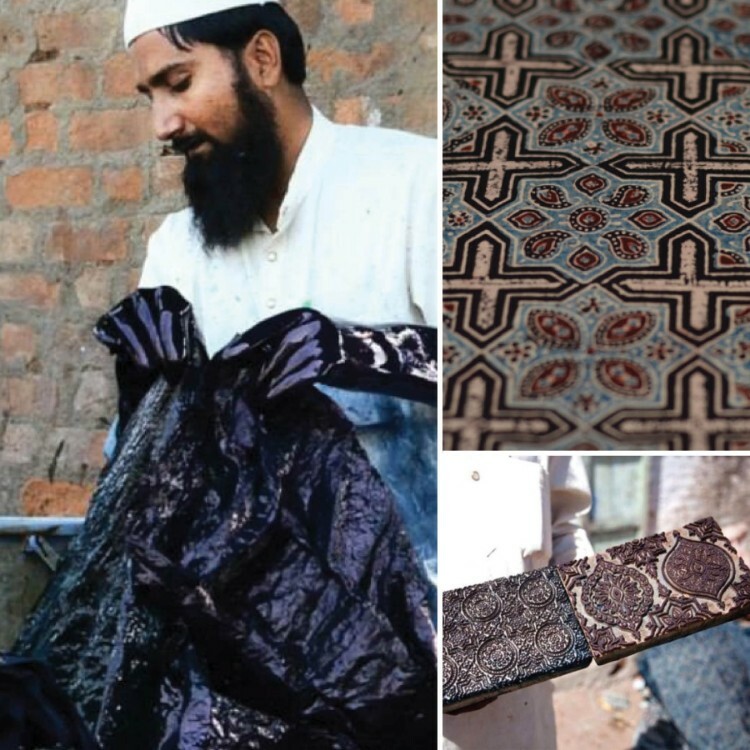 Sufiyan Ismail Khatri, from Ajrakhpur, Gujarat, India, will be here to lead students through the steps in creating hand block printed textiles with natural dyes. From preparing the fabric, to applying the resist, to adding mordants to fix the dyes, to the final printing of colors, you will have a hands-on experience of every step of the process. Don’t miss this opportunity to study this 4,000 year old textile tradition with a master artisan! Textile Center is thrilled to welcome back couture fitting and sewing master Lynda Maynard for two more classes this summer! Join us for FITTING SKIRTS (choose either day) and FITTING PANTS (a 2-day class). Both classes focus on fitting from muslin using a preexisting pattern with a clean silhouette (of your choosing). Learn to make the correct alterations for a perfect fit, and render a new paper pattern. Patterns will revised again if necessary, “proofed”, and ready to cut in fabric! Lynda Maynard’s passion for fashion has reached thousands through classes, publications, and online through Craftsy. Don’t miss out on these must have classes for fashion and art-to-wear design and sewing enthusiasts! Welcome Chunghie Lee, traveling from Korea to be with us for 5 days in a special BOJAGI workshop at Textile Center! Students will learn traditional bojagi techniques and work to create their own pieced and sewn garment or pieced fabric during this workshop. Chunghie Lee’s approach to teaching Bojagi is to teach an appreciation of its history, usage, and its role in Korean society. Alongside the making, she encourages the application of the technique to modern interpretation. A special exhibition curated by Lee, featuring a Korean Bojagi master, will travel to Textile Center to help celebrate our 25th Anniversary summer and this special class. For our out of town guests, we have lodging and accommodations available right down the street, and the Minneapolis/Saint Paul International Airport just a 15-20 minute drive away, or at the Prospect Park light rail stop (no car necessary)!